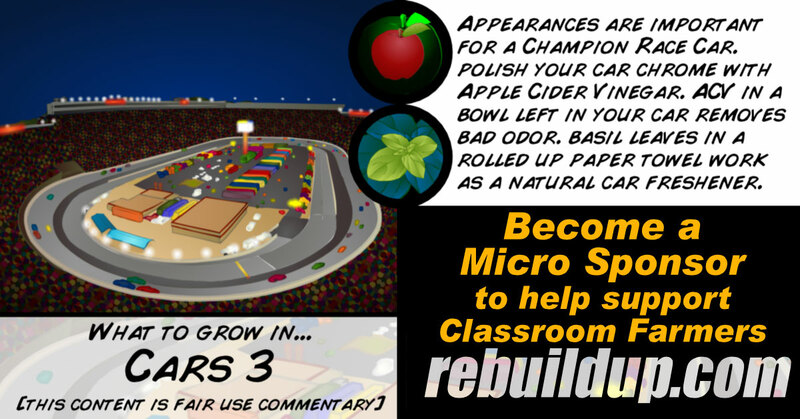 Become a Micro Sponsor for our Classroom to Food Market Pipeline (CFMP) program so students can learn how to grow food indoors year round even if they live in an apartment. Students at Summerfield Elementary spent the spring growing Tendergreens and will now close out the school year by growing Basil using Bottle Growers. 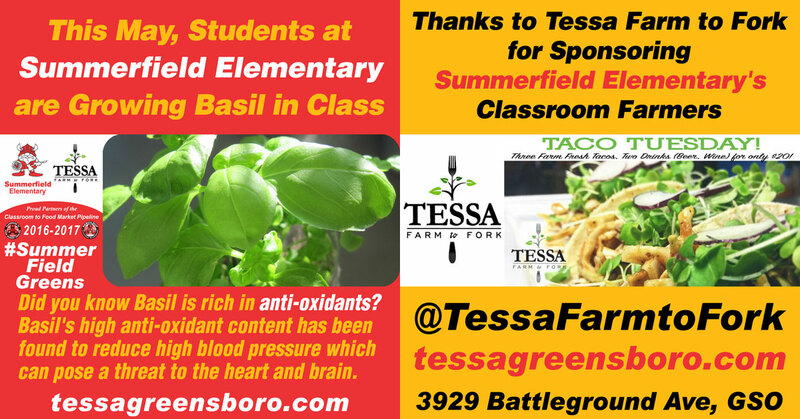 The Classroom to Food Market Pipeline (CFMP) at Summerfield Elementary has been made possible by the generous sponsorship of Tessa Farm to Fork in Greensboro. Cone Elementary students are rounding out the school year by planting basil in Bottle Growers. Special thanks to Tessa Farm to Fork for sponsoring this year’s Classroom to Food Market Pipeline (CFMP) at Cone Elementary. Check out Tessa Farm to Fork for yourself! 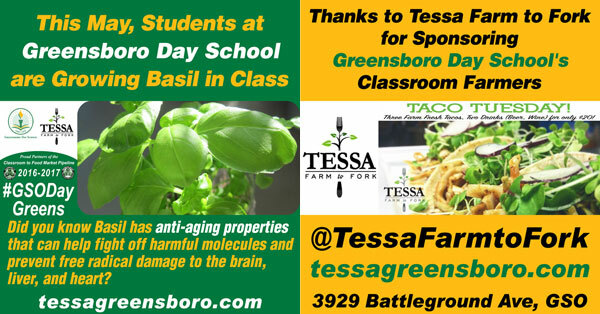 During the month of May, Greensboro Day students are redirecting their classroom farming skills towards growing basil to see this popular herb up close and personal. Basil growing will be the last part of this school year’s 2016-2017 Classroom to Food Market Pipeline sponsored by Tessa Farm to Fork. 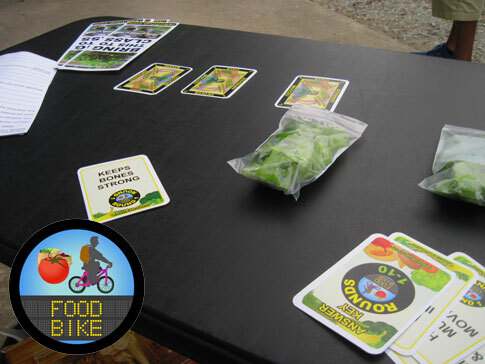 On Saturday, September 17th, ReBuildUp was out at Parkwood Baptist’s Hand to Hand Food Pantry handing out freshly harvested microgreens and playing Food Bike, the nutrition card game. 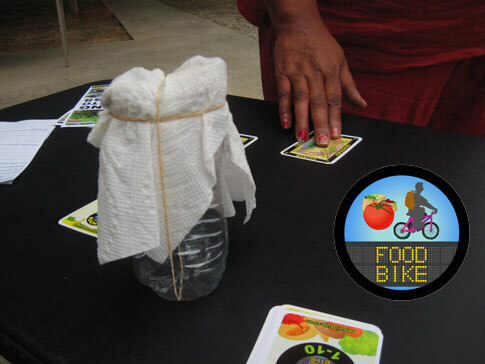 Winners walked away with a Bottle Grower with basil seeds.